Will the Church convert the world? I never thought I would live long enough to see the revival of the thoroughly discredited doctrine of postmillennialism. But it has occurred, and it has happened quickly. The doctrine is sweeping through Christendom today, and strangely enough, it is appealing primarily to two segments at opposite ends of the spectrum — namely, the Charismatics and those with a heritage of Reformed theology. The doctrine is being presented in new clothes. Although it appears under many different names — Restoration, Reconstruction, New Wave, Latter Rain, and Manifest Sons of God — the two most frequently used titles are Kingdom Now Theology and Dominion Theology. The Church has replaced Israel, and God has no purpose left for the Jews. Accordingly, many of the proponents are virulently anti-Semitic, even to the point of arguing that the Jewish people are the Antichrist. The Church is destined to take over the world by itself and reign over all the nations for at least one thousand years. Jesus cannot return for the Church until the Church has completed its reign and is ready to present the kingdom to Him. As pointed out earlier, postmillennialism died a sudden death when World War I broke out. Since the view is based upon the erroneous assumption of the inevitable progress of Mankind, the First World War killed it because that war rendered it impossible to believe that human progress is inevitable. Until recently, only one major popular book had been written in this century advocating the postmillennial view. Published in 1957, it was entitled The Millennium. The author was a Reformed theologian by the name of Loraine Boettner. When I read this book, I concluded the author probably lived on an isolated island cut off from all news sources. The reason is that he spends a good portion of the book trying to convince the reader that the world really is getting better. 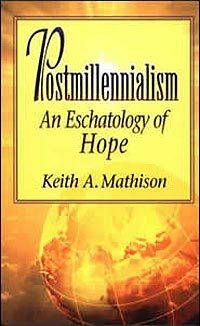 The resurrection of postmillennialism took place in the decade of the eighties when the market was suddenly flooded with postmillennial books. The two most prolific and influential authors are Earl Paulk and David Chilton. Although Paulk and Chilton come to the same erroneous conclusion that the Church will take over the world without the presence of Jesus, their reasoning and methods differ rather drastically. Paulk’s approach is a natural outgrowth of the confused hyperfaith doctrines that have come to characterize much of the Charismatic movement. Paulk says that Christians are “little gods” with the authority of Christ. We can therefore confess dominion over the earth and, through faith, what we confess will come to pass. Paulk’s theology is the one referred to as Kingdom Now. The other major flavor of the postmillennial revival is called Dominion Theology. Its roots are very different. It is advocated by non-Charismatic, Calvinist theologians. The philosophical father of Dominion Theology is Rousas John Rushdooney. He has been on the scene for a long time, but his writings are obtuse and have been popular among only a handful of intellectuals. But in the past ten years his theories have been popularized by his son-in-law, Gary North of Tyler, Texas and by David Chilton, a Presbyterian preacher in California. Dominion Theology differs from Kingdom Now not only in its roots but also in its methods. Kingdom Now supposedly relies on supernatural methods. Believers, as “little gods,” assert their godhood by speaking dominion over the nations. Dominion Theology relies on more traditional methods. The world is to be claimed for Christ through missionary effort and political activism. There are three cornerstone scriptures that are often used to justify the Kingdom Now/Dominion doctrines. The first and foremost is Acts 3:21. This verse is usually quoted to say, “Jesus must remain in heaven until all things have been restored.” Therefore, the argument goes, Jesus cannot return until the Church has emerged triumphant over the world and has restored God’s creation through a reign of peace, righteousness and justice. The problem with this very neat argument is that the verse does not say what the Dominionists quote it to say. Instead, the verse says, “Jesus will remain in heaven until the time for the restoration of all things.” What the verse actually says is therefore drastically different from the subtle Dominionist paraphrase of it. The verse means exactly what it says: Jesus must remain in heaven until it is time for the restoration of all things. He will then return and restore the creation and restore God’s dominion over the creation, just as prophesied by the Hebrew prophets (see, for example, Isaiah 11:3b-9). The second scripture text which Dominionists often point to is Matthew 24:14 which says that the gospel of the kingdom must be preached in the whole world before the end will come. This verse, they say, requires that the world be converted to Christ before He returns. But this verse does not say that the world must be converted. It says only that the gospel must be preached to all the world. The Church is preaching the gospel all over the world today, but even so, not every person will hear it until the end of the Tribulation period when an angel of God will be sent forth to proclaim the gospel “to every nation and tribe and tongue and people” (Revelation 14:6). Then Jesus will return in triumph to establish His kingdom from Mt. Zion in Jerusalem (Revelation 19 and 20). A third text sometimes used by the Dominionists is Romans 8:19 which says that “the anxious longing of the creation waits eagerly for the revealing of the sons of God.” This is interpreted to mean that the creation will be redeemed as the Church matures, purifies, and spreads its influence over the earth. But the context of this passage makes it very clear that the verse is talking about the resurrection of the saints, not the maturing of the saints. The resurrection will reveal those who are truly the sons of God (verse 23). It is at that time that the curse will be lifted from the creation, not before (verse 21). 1) The Jews — Has God washed His hands of them? The Dominionists claim He has, but Romans 9-11 clearly teaches that the Jews are still the Chosen People of God and that God intends to bring a remnant of them to salvation in Jesus Christ. The disobedience of the Jews has not annulled God’s promises to Israel because “the gifts and the calling of God are irrevocable” (Romans 11:29). 2) The World — Will the world be converted to Jesus as these revived postmillennialists claim? The Bible teaches that the vast majority of people will always reject the gospel. This is one of the points of the parable of the sower (Matthew 13). Jesus said, “The gate is small, and the way is narrow that leads to life, and few are those who find it” (Matthew 7:14). 3) The Church — Is the mission of the Church to convert all nations? Again, that’s what the Dominionists claim. 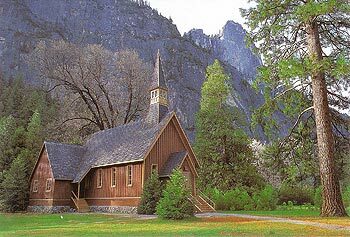 But the Bible teaches that it is the responsibility of the Church to preach the gospel, not to convert the world (Mark 16:15). 4) The Kingdom — Does the Church establish a kingdom without a king? This is the view of the Dominionists. The Bible teaches that Jesus will present the kingdom to the Church (Daniel 7:13-14,18,27). The Church is never pictured as presenting the kingdom to Jesus. Furthermore, the Church is always portrayed as reigning with Jesus and not as reigning alone (Revelation 3:21). 5) Imminency — The Bible teaches we are to be alert and sober, watching for the imminent return of the Lord for His Church (Matthew 24 and 25). 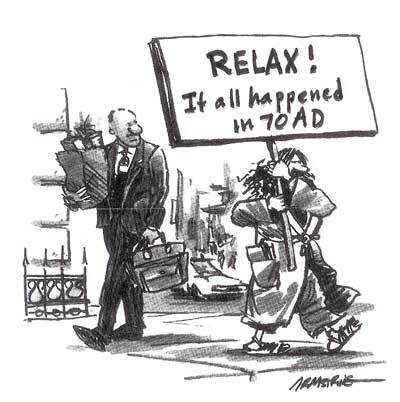 The new postmillennialists deny that the return of Jesus is imminent. In fact, they say He cannot return until the Church has reigned for at least one thousand years. 6) Jesus — The Kingdom Now advocates of the revived postmillennialism not only replace Israel with the Church, they also replace Jesus with the Church. Paulk goes so far as to say that the Church is “the ongoing incarnation of Christ.” This is blasphemy. There is only one Christ and that is Jesus of Nazareth. The focus of God’s plan of redemption for all of His creation is not the Church; it is Jesus (Hebrews 1). And any doctrine that causes us to take our eyes off the Lord is profoundly false. One of the most incredible claims of Kingdom Now/Dominion eschatology is that the Second Coming of Christ occurred in the First Century! The new postmillennialists are forced to take this position in order to explain away all the prophecies in Revelation concerning the return of Jesus. 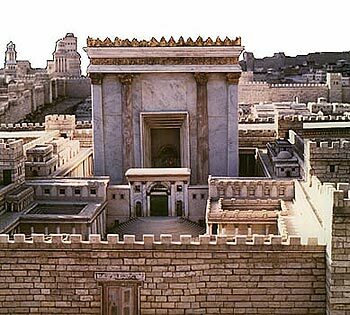 They argue that all these prophecies were fulfilled in the destruction of Jerusalem in 70 A.D. They view the Jews as the Antichrist. The siege of Jerusalem by Roman troops under Titus is pictured as the Tribulation, and the destruction of Jerusalem is seen as the Second Coming of Jesus in wrath. This interpretation, of course, requires the book of Revelation to have been written before 70 A.D. But the internal evidence of the book regarding the Roman empire and the external testimony of the Church Fathers both point to a date of authorship around 95 A.D., 25 years after the destruction of Jerusalem. The type of widespread Roman persecution of the Church that is described in Revelation did not occur until the reign of Domitian (81-96 A.D.). One of the Church Fathers, Irenaeus (120-202 A.D.), wrote that the book of Revelation was authored by the apostle John “towards the end of Domitian’s reign.” Irenaeus was discipled by Polycarp (70-155 A.D.) who, in turn, had been discipled directly by John himself. The evidence is simply overwhelming that the book of Revelation was written after the destruction of Jerusalem. This fact alone completely destroys the whole foundation of Dominionist eschatology. The preposterous concept that the Second Coming of Christ occurred in 70 A.D. is reminiscent of two fellows in the time of Paul — Hymenaeus and Philetus — who argued that the resurrection had already taken place (2 Timothy 2:17-18). Paul dismissed their claim as “worldly and empty chatter” that will “lead to further ungodliness” (2 Timothy 2:16). We would do well to follow Paul’s advice regarding the Dominionist claim that the Second Coming occurred in the First Century. We are living in the season of the Lord’s return. All the signs point to the fact that Jesus will return for His Church at any moment. What more could Satan wish for at this time than the rebirth of a doctrine that destroys the imminency of the Lord’s return and gets people’s eyes focused not on Jesus but on the world and the creation of a world wide kingdom? It is deception that is preparing people for the emergence of the Antichrist, for the Bible teaches that the only worldwide kingdom that will be established before the return of Jesus will be the apostate kingdom of the Antichrist, a kingdom that will be established in the name of religion (Revelation 13). Every time the Church has sought political power, it has ended up being corrupted by the political system. This happened when the Church was wed with the Roman Empire, leading to the spiritual darkness of the Middle Ages. The deadest churches in the world today are the political, state churches of Europe. They have the form of religion, but they have denied its power (2 Timothy 3:5). They have political power, but they do not have the power of God’s Spirit. Do not be deceived by those who urge the Church to change the world through the pursuit of political power. It is true that a day will come when the Church will reign over all the world, but that reign will be conducted in person by Jesus through His glorified saints. A perfect kingdom requires a perfect king ruling through perfected subjects. Is the Church the Kingdom?